I love reflecting on this home and knowing that it has been a place of sanctuary, safety and peace for our little family. I read once that what makes a home is the people in it and once you remove the people, all you can see is what’s not there anymore. And as I sit writing this in an empty house with truly only a few boxes left, I feel that way. What makes this house so important to me are the people in it. Not the furniture, the things, the decorations or the rug I HAD to have, just the people. MY people! 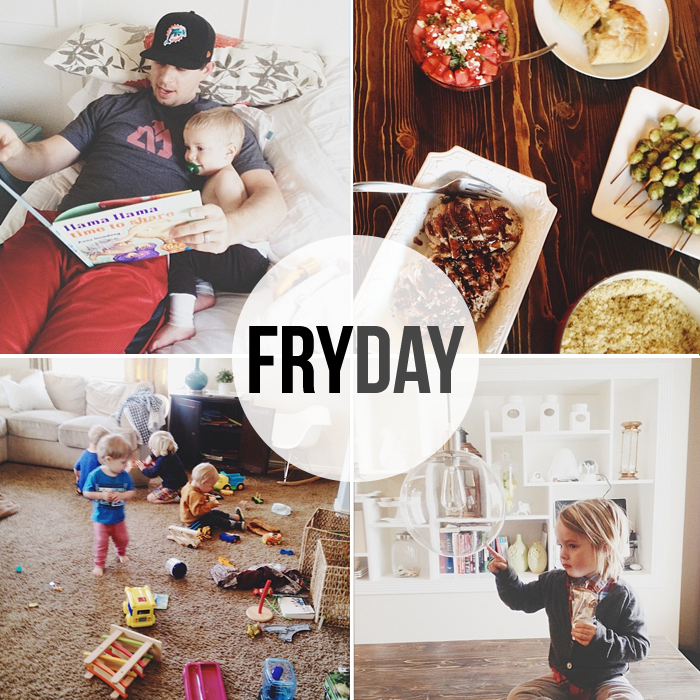 Read all about where we got “Small Fry” from, and our favorite parts of this blog in an interview with our friends over at Momegranate here. We are so flattered to be included with thirteen moms-with-blogs in The Everygirl’s “Lessons in Motherhood”. Read all about our best advice we’ve heard for parenting, products we did and did NOT use, things we struggle with and more! (Keep scrolling passed the slides for the full interviews. We are currently looking to buy a home to build these types of memories, and reading your post just made me a little teary-eyed thinking about the memories we will be leaving behind where we are now. The people make the house, and it looks like your family is going to make another home absolutely beautiful! Memories with family are everything, as long as you have them with you it doesn’t matter where you live!